Nonprofits can and should listen to their communities. St. Charles didn't. Hospitals in the United States represent a prime example of the conundrum in American values. On the one hand, they're institutions aimed at serving the greater public good of fostering health across a community. On the other hand, they're tasked with managing complex budgets and sometimes making tough financial decisions—whether they're for-profit or nonprofit institutions, as St. Charles Health System is. You could look at hospitals and health systems as microcosms of the hot debate between the benefits of capitalism over socialism. Where can the two concepts meet, and still serve the greatest good? In the interest of greatest good, an entity such as a hospital—or any nonprofit—should work diligently to balance the books, and at the same time, should listen and respond to the needs of its community. It should also be transparent and inclusive in decision-making. In the case of the announced closure of the Redmond Family Birthing Center, St. Charles failed on those latter points. When St. Charles officials announced that they were considering closing the birthing center—the only option for planned birth in Redmond—community members responded en force, asking the health system not to close the center. Elected officials, including the Redmond City Council, as well as firefighters, doctors and nurses responded loudly in favor of keeping the center open. But St. Charles announced Oct. 29 that its board of directors had decided to close the birthing center by next summer. St. Charles stated that its three birthing centers in Redmond, Madras and Bend were typically at 50 percent capacity, and that "low volumes led to staffing challenges." "A large body of research suggests that drive time of an hour or less to a birthing center is reasonable," stated Dr. Barbara Newman, an OB-GYN and the medical director of Redmond's St. Charles Center for Women's Health in St. Charles' release. Nurses and the Oregon Nurses Association see it another way. They say they were left out of the conversation about what's good for them, and patients. "It's important to note that St. Charles used a very backroom process to come up with the recommendations and to make the final decision, so we didn't have direct discussions—staff nurses didn't—with St. Charles about this," said Kevin Mealy, communication manager for ONA. St. Charles officials say their 20-person task force included a number of stakeholders, including staff. Nurses in Redmond are also concerned about quality of care and an increased demand on emergency departments and operating rooms. Of the new influx of patients who will now go to the Bend facility during childbirth, Redmond Family Birthing Center nurse Amber Loredo, RNC, said, "I also really worry about their OR (operating room) staff and their emergency room, and the Redmond staff in both of those areas, too. It takes five years to become an expert in whatever nursing field that you're in, and the orientation process for obstetrics is six months to year—which is a lot longer than most nursing professions. So, without them being experts, they're even putting themselves at risk by taking care of these patients." In its Oct. 29 release, St. Charles also stated, "The task force also found that over the next 25 years there will be an increase in women who are ages 45 to 65, reducing the demand for birthing services in the region." To that, Loredo said, "St. Charles noted that the birthing numbers have gone down over the years, which is true, and these statistics and numbers ebb and flow—but what they didn't discuss was that while the numbers are going down, the age of women who are having babies has risen, and as those age numbers rise, so do additional risk factors." 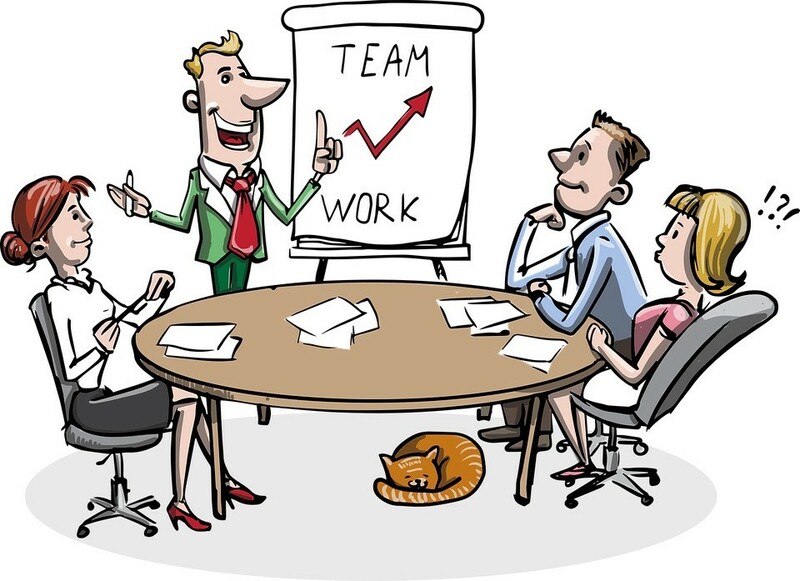 "We feel confident our staffing levels are safe. The St. Charles Bend Family Birthing Center will add approximately 14 full-time equivalent positions. This means 15-20 caregivers will be hired to fill a variety of full-time, part-time and relief positions," St. Charles' Public Information Officer Lisa Goodman told the Source Tuesday. 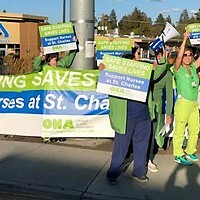 Adding to the puzzlement here is the fact that in the coming weeks, the Oregon Nurses Association will be in contract negotiation meetings with St. Charles and its Bend nurses. Last year, the ONA alleged violations around unsafe staffing levels at St. Charles Bend. 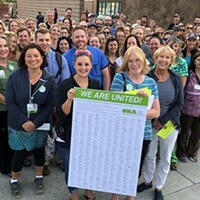 The issue of additional nursing staff loads will likely come up again during those meetings, and in subsequent contract negotiations with Redmond nurses—as it should, in the interest of patient safety. We hold our governments accountable to listening and responding to the needs of constituents. Even as we should allow companies and nonprofits to maintain their autonomy in decision-making, we should also hold nonprofits accountable to diligent service that meets the needs of their communities. 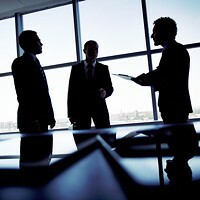 And we should be able to hold employers—St. Charles being the largest employer in Central Oregon—to listening and being transparent with its employees and those it serves.